A Good Man of Hope currently play a very brief run at the Brooklyn Academy of Music is a tough play/musical. The story of Asad Abdullahi, a Somali refugee, who has spent his life trying to find a better life despite all that life throws at him is a tough play. Bad things happen, a lot of bad things and it’s hard not to feel as beaten up by his life as the man himself. The whole thing takes on even darker tones thanks to Donald Trump’s anti-immigration rhetoric and we quickly see what can happen if we allow stupider heads to prevail. The play started as a series of interviews Asad gave to Jonny Steinberg who, at first thought his story would be 10 to 20 pages in a book on refugees. However Steinberg realized there was a whole story here and he changed the focus of the book. The book was then turned into a musical by the Isango Ensemble and the Young Vic. The show is framed by Asad giving an interview to Steinberg. The play then flashes back to the day when Asad watched his mother die after being shot by Somali rebels. What then follows is thirty year march as friends and family, wives and children come and go and Asad simply tries to go on. It’s a story that will break your heart as people die, the locals abuse him for being an immigrant and all his possessions are stripped away. Light and happy it is not. It’s the first time I've ever seen a story that makes you feel pain when a character says he’s coming to America. Seeing the show four weeks into the Trump administration was incredibly tough. Here on stage was the true life story of what could and will happen if the president’s worst nature is allowed to fan the flames of hatred across the country. There were frequent uneasy ripples of emotion through the audience as lines and actions took on unexpected and shattering meanings in the wake of the president's first month of insane rantings. 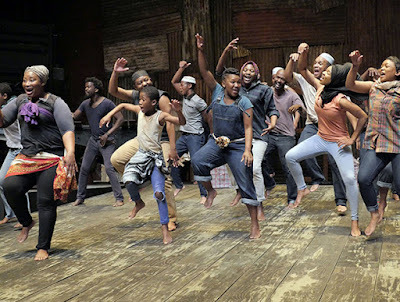 The way the story plays out now, in this place, especilly in Brooklyn and its multicultural community was nothing BAM or the theater companies could have known when they booked the engagement. I cannot explain what the effect of the show was on the audience last night except to say that when the show ended there was a stunned silence. No one wanted to move, I'm not sure some of us could. While the whole audience rose to their feet as one very few applauded to start, they simply stared at the stage in shell shock, it was as if they didn't know how to applaud. Then as the cast waved and smiled, applause grew as those around us came out of a spell. The applause grew louder through each of the three curtain calls. Then the audience filed quietly out into the night- few people talking. We were all stunned into silence laid low by the life of one man and his drive to go on. A Good Man of Hope is the very definition of affecting theater. And I need to say this really isn’t a happy musical. Asad whose story this is hasn’t read the book of his life. Steinberg says that the reason is that the only way that Asad can go on is by facing forward and not looking back. As is implied in play and even in Steinberg‘s pieces on the book the reason is Asad doesn’t want to face the sadness once again. To be honest had I known what the play was I probably would not have bought tickets. However now that I’ve seen it I’ve seen a theater piece that I can’t shake and has left me rattled in the best way possible. 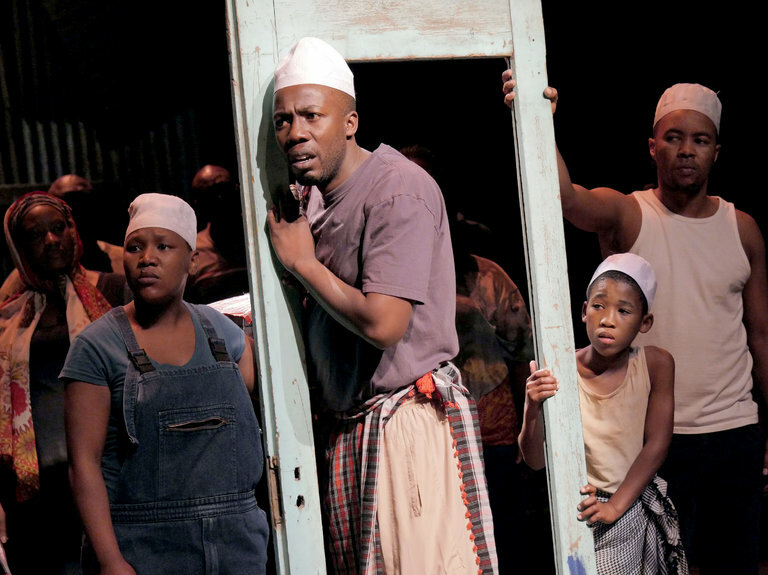 If you can get to BAM before the run ends this weekend, do so, just be prepared to be broken. Man of Good Hope plays through Sunday February 19th at the Brooklyn Academy of Music. For more information and tickets go here.